The University of Otago Queenstown Resort College Foundation Year Certificate is delivered over two full time semesters. Successful completion of the programme will meet the academic requirements for University entrance for undergraduate degrees in Business/Commerce and Humanities. In the Foundation Year students will study in one of two streams (Arts or Business/Commerce), with each stream containing ten papers. Both streams include Academic English, Foundations of Computing and Introduction to Marketing. Being delivered in Queenstown, Foundation Year allows for a world leading study experience. Extra English 3 hours both terms. Extra Mathematics 2 hours term 1 ONLY. Consultation time 1 hour per week per subject. Students will develop communication and problem solving skills equipping them with the knowledge required for successful undergraduate study. If there are insufficient numbers to run a paper, students will be offered other options or they may withdraw from the course with a full refund of fees. Please find a copy of the Otago University QRC Foundation Year Policy here. How will I be assessed at Foundation Year? Precise assessment details are different for each paper, and students will be given full information when the paper starts. Every paper is assessed using a mixture of internal assessment and a final exam. The proportions of internal assessment to exam assessment are different for each paper, but the final exam will always count for at least 60% of the final mark. For each paper, you will receive a final percentage, and a corresponding grade. Each grade has a points value, and this is used to calculate your Grade Point Average (GPA). Your GPA is the final result for your programme of study. To gain entrance to university, you must achieve a final GPA of 6.5 or more, and achieve a C grade or better across Academic English I and Academic English II. This equates to a “C” average in every one of your papers. At the end of the course you will receive a Certificate of Completion, and a Statement of Results. This will list all of your papers and the results, along with your GPA. Throughout the course you will receive regular feedback to indicate your progress. Final exams are usually formal, written exams, and most are two hours long. Types of questions may include multiple choice, short answer, and long answer. Both QRC and Otago University have a reputation for excellence and are bound by the Code of Practice for Pastoral Care. World class facilities, including a purpose built campus, Halls of Residence’s along with industry leading faculty and operational staff means that students are equipped with the resources and support services to ensure positive outcomes are attained. A key advantage to an education in Queenstown is the opportunity to gain part time employment while studying. Employment options for multi lingual speakers are plentiful. QRC has exceptional connections with the business community to assist with this. QRC is a New Zealand Qualifications Authority (NZQA) Approved Category 1 Provider. The College strives for continuous improvement, meaning special attention is given to enhancing the student experience. All students have access to facilities and services, including library, computer suite, café, student discounts and memberships. Queenstown offers a range of accommodation options, including – Halls of Residence, Home Stays, or independent living for all students. QRC’s Student Relations Manager helps students identify what option is best for them. The Halls of Residence offers comfortable, warm studio apartment accommodation for students which contain either 1 king bed or 2 single beds on request. Rooms will always be warm and comfortable, with central heating. Public transport helps students to the campus. All applicants must meet English language and academic requirements for admission. Admissions will assess your application based on several factors. The application form must be completed correctly and all supporting documents supplied. Candidates who do not meet the entry criteria for the Foundation Year will be issued a Conditional Offer requiring them to attend the Bridging Programme. If you need additional English tuition before starting the Foundation Year, or wish to sit an IELTS, TOEFL iBT, TOEIC[D1] or Cambridge Mainsuite test in Dunedin, please see further information about English language tuition at the University of Otago Language Centre. Our Admissions team will assess your application based on several factors. First of all, the application form must be completed correctly. Depending on the stream you intend to study, we will check the academic transcripts you have sent us to determine if you have achieved the required level to participate in the programme. If you do not meet the entry requirements, we will offer you a conditional offer which would require you to go through our Bridging Programme. If your English language level does not meet the required level then you can join our Bridging program and follow that pathway to Foundation Year. Along with your application we also suggest sending us a cover letter, written by yourself, outlining why you want to study with us and how you can apply yourself to the academic challenges ahead. A letter of recommendation from a previous teacher or employer would boost your case too. All fees are in New Zealand dollars. This information including dates and fees is subject to change. All fees are inclusive of the NZ GST rate of 15%.Fees are required to be paid before the first day of classes. Student Services fee includes use of QRC facilities including campus WiFi, library, textbooks and printing. You can pay through electronic banking, money transfer, cheque, or cash. Our preferred method of payment is direct transfer through internet banking. 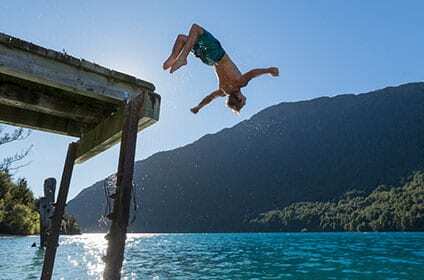 The New Zealand Government requires that all international students have appropriate and current medical and travel insurance while studying in New Zealand. This includes students on a Work Permit/Visa with a Variation of Condition to study part time. Our Student Relations Manager will arrange your insurance for you prior to course commencement. If you prefer to arrange your own insurance with a different provider, that is acceptable, as long as the policy used is in accordance with Immigration NZ conditions, and a copy of this is provided prior to course commencement. Queenstown Resort College’s preferred insurance provider is Orbit Protect. Orbit Protect policies are available for Foundation Year. Students must take the package that will cover their length of visa. Please refer to the latest Immigration New Zealand conditions. 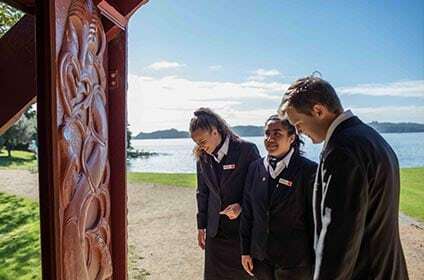 Cover will begin automatically when the student leaves home to travel to Queenstown, so long as this occurs no earlier than 30 days prior to the commencement date of the period of study. The end of cover occurs at the expiry of your current visa. If you do not hold acceptable insurance until the expiry of your visa you will be responsible for arranging an extension to your insurance policy to cover the remainder of any time you spend in New Zealand after your course ends. All policies must meet all the conditions of the Guidelines for the Code of Practice. When you pay for your tuition fees you must also pay for the medical and travel insurance that is stated on your invoice. The Accident Compensation Corporation (ACC) provides accident insurance for all New Zealand citizens, residents and temporary visitors to New Zealand, but you may still be liable for all other medical and related costs. Further information can be viewed on the ACC website. The Bridging Programme is a 6 week intensive course designed to increase your chances of success in the Foundation Year programme. You have an unconditional offer. You have been away from study for more than one year. You are beginning subjects that you have not studied before. You feel that extra time would help you prepare for Foundation Year. You have a conditional offer. You need to improve your level of English because you have a 5.0 IELTS and need a 5.5 IELTS or a pass in the Upper-Intermediate or Advanced General English course at the University of Otago Language Centre to enter Foundation Year. You have the 5.5 IELTS required for entry but your academic grades are 10% less than what is needed for you to enter Foundation Year. You need to take a Bridging Programme.